Subscribe to Sandy's free newsletter and get chapters from his bestselling audiobooks plus a 40-minute video on the Mind Detox Method for healing the hidden causes of any issue. SUBSCRIBE + GET WELCOME GIFTS! SAFE SUBSCRIBE : We won't spam you and will never share your details with anyone, ever. Thank you for signing up to my newsletter. 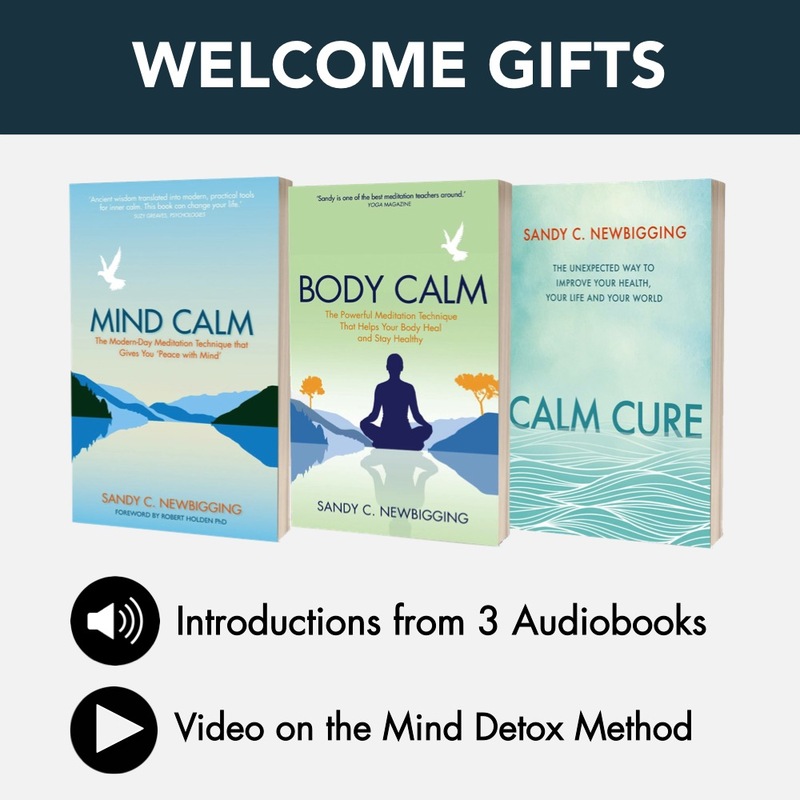 So that you can get started straight away, I have some welcome gifts for you - including 3 audio tracks from my trilogy of bestselling 'CALM' books along with a 40-minute video that teaches the Mind Detox method for healing the hidden cause of physical, emotions and life issues. Please check your inbox (or junk folder!) for an email to confirm your subscription. Once you click the link in that message you will be sent an email with the weblink and password you need to access your welcome gifts. Thank you!